Dove Mountain, Arizona is a great place to live and there is always plenty to do in the Tucson area. If you are looking for ADA friendly attractions, that make it easy for everyone to get around, you may want to start checking these places off your list. Arizona – Sonora Desert Museum – If you are looking to spend some time outdoors, this is the perfect place to do just that. With two miles of accessible paths that wind through varying desert habitats, this is a great place to spot animals, learn more about desert gardens and take a look at one of the biggest mineral collections in the area. Wheelchairs and motorized scooters are available to rent for a small fee. Sabino Canyon – If you would love to see more of the canyon, Sabino Canyon do have a wheelchair accessible tram. Tours take you through just a little less than 5 miles of the canyon, allowing you to view the wildlife, plant life and the foothills of the Santa Catalina mountains. It is a good idea to call ahead to make sure they will have the accessible tram available. Pima Air & Space Museum – The cement floors and paved walkways make a visit to the Pima Air & Space Museum easier for those with accessibility challenges. You can also take a bus or tram tour on one of their access friendly vehicles. This is a great place to visit if you enjoy learning more about air and spacecraft. Be sure to call at least three days in advance if you are looking to take a bus or tram tour. Tucson Botanical Gardens – Another great way to get outside and enjoy some lovely green spaces is to take a trip to the botanical gardens. There are many wheelchair friendly paths throughout the gardens that allow all visitors access to the different areas. 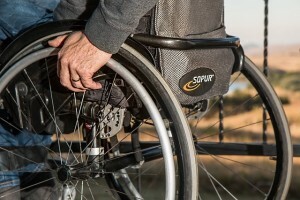 Wheelchairs are available for rent on a first come first serve basis. There is plenty to see including a miniature railway and a garden cafe that serves fresh food and drinks. Trail Dust Town – If you are looking to step back into the era of gunslinging cowboys then Trail Dust Town is a fun place to visit. Depending on your mode of transport the wooden walkways and red brick streets can be quite easy to navigate. Although this is more of a tourist attraction, it can be a great accessible place to take friends and family that are visiting. Head out to one of these great Tucson destinations today. This is just a small glimpse of the many great places throughout Tucson that those with limited accessibility can enjoy.